How can you have a remake without some of the most iconic Disney songs of all time? 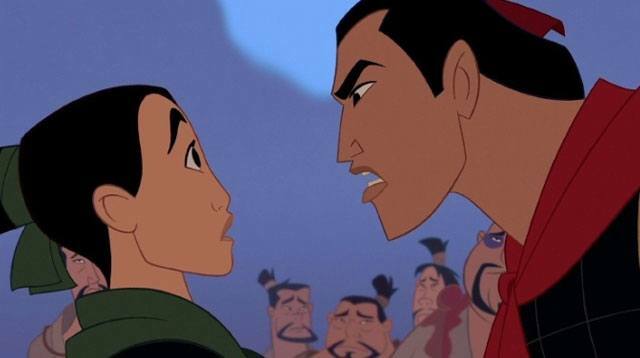 Following the news that Disney's new live-action Mulan will not be a musical, thousands of fans took to social media en masse to express their outrage and disappointment. And to further fan the flames, Disney also announced they would be cutting major heartthrob Li Shang from the picture—which caused many to wonder what the hell is going on with the film and why it's straying so far from the 1998 animated feature! I ask for two things from the live-action Mulan: one, an Asian actress that'd be believable as a boy or a man, and a hunky Shang.